This colourful height chart is great for discussing growth with your pupils and will brighten up your classroom walls. 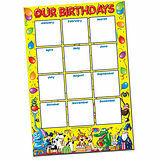 Printed on card and supplied to you folded. 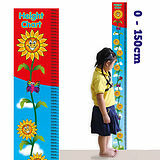 Measures from 0 to 150 cm.